Having started my career in retail and progressing to Store Manager, Area Manager and on to Operations and Buying director for various High Street names I decided it was time to take the plunge and do it for myself after 12 years in the industry. In May 2005 I opened The Dressing Room in St Albans providing beautiful affordable fashion in a laid back, luxurious environmentwith a fresh, new brand mix. Since then it has been a whirlwind, the store has expanded three times plus an ecommerce branch has been added to the mix. All in all I am relieved to report that The Dressing Room has been a great success (so far!). If the answer is yes, then wonderful – you know what to expect! If the answer is no, my first piece of advice is always ‘Go and work in a store for a year, then come back to me and tell me if you still want to do this.’ Working in retail is a fabulous career, but it is no easy ride. You have to be prepared for long hours, 7 day weeks and dealing day in day out with general public (often a pleasure, sometimes not so much.). You have to know your customer inside out and the first two seasons are often a bit hit and miss while you discover who your customer really is as opposed to who you thought they were. Remember, you can’t please everyone, so stick to your key principles and adapt your buying as you learn more about who you customer is and make sure you deliver this promise at all times. Often, regular customers will only want to be served by you, but as your business grows this will no longer be possible. So, what about when you are not on the shopfloor? Take time and effort in training your team. Keep them motivated and informed and they will be upbeat, energetic and deliver your promise every time. I hold monthly training sessions with my team and 6 monthly reviews and appraisals. It is important to keep your store looking fresh and relevant. I continually re-assess my store. Do the windows look exciting enough to get people in to the store? Is the Visual Merchandising up to scratch? Is there something new to encourage regular customers into the store? Keep your product moving, if something isn’t working – try re-merchandising it or bring it out again in another month and re-invent it as a fresh new look. Controlling this at all times will ensure your business stands the test of time. Honesty is always the best policy. Don’t avoid contact if you are struggling to pay a bill – A phone call to negotiate payment over a longer period will put an end to sleepless nights and ensure that you retain the respect of your suppliers. You need to factor in your online presence. People expect you to have a website and it is important to get this right. My advice is, unless you have plenty of time and money on your hands (highly unlikely), then start with a postcard type site. A website that will communicate who you are, what you do and where to find you. An ecommerce site is a beast that will take your focus away from your bricks and mortar store as it requires so much manpower to keep updated and is an unnecessary drain on your cash flow in the first year. My final piece of advice to any budding Independent store owners…. This blog was written by Deryane Tadd, proud owner (and rightly so!) 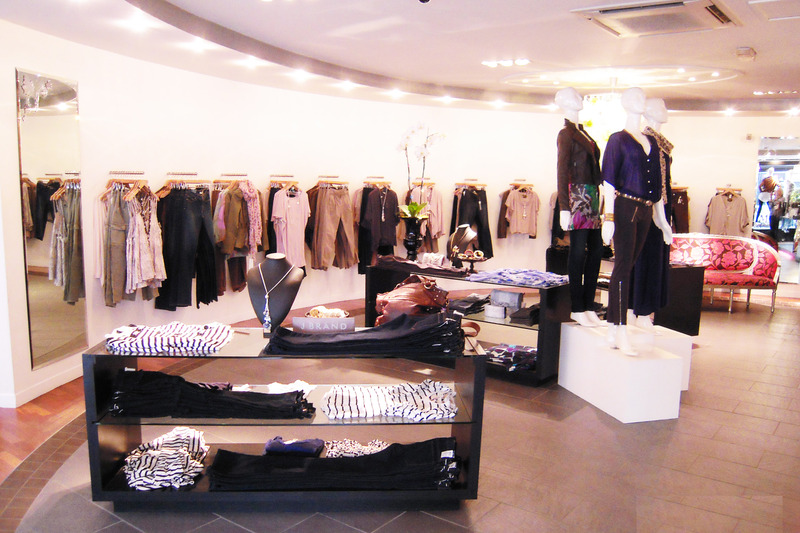 of The Dressing Room, an impressive independent fashion boutique in central St Albans. This entry was posted in Blog-a-day for Indie Retail, Independent Retailer Month 2011, The Retail Champion and tagged dressing room st albans. Bookmark the permalink. Interesting article and ALL True about going into business/ self employment. It’s not everyones cup of tea and a lot people looking from the outside think “I’d love to do what you do ” but don’t really understand it all. Great success story- wishing you continued success. Thank you so much, glad you found it interesting.